We will be attending…Come down and pay us a visit! I could not think of a better set to feature on Memorial Day weekend! I am currently wrapping up a few loose ends here as I prepare to head off to San Antonio this weekend for the Texas Toy Soldier Show. We would also like you all to remember Monday is Memorial Day. We will be open from 10AM-4PM. We hope to see many of you at the Texas show this weekend and we hope all of you find the time to remember our fallen soldiers who died in defense of our great country as you relax with friends and family. My son and I had a great time at the Huzzah Convention in Maine this past weekend. Here is a few pictures from the Con. My son is below patiently waiting for Mike Paine’s ruling on his Hanghai Raiders game (always a kid favorite). 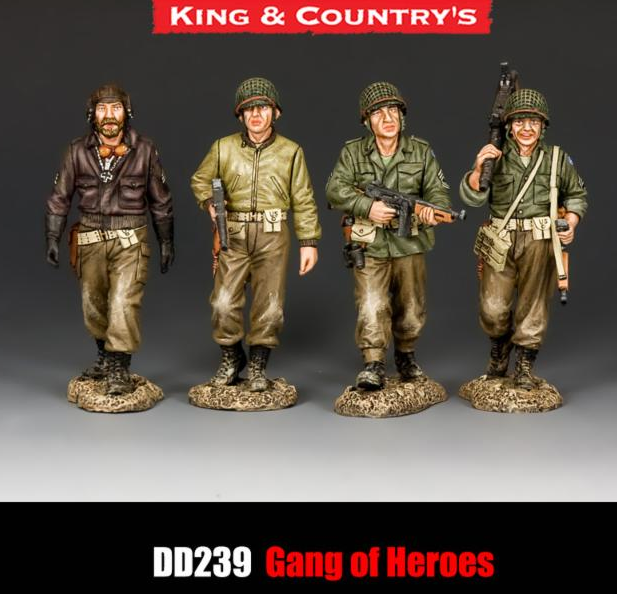 First Legion Ltd – Zulus, Macedonians, Western Gunfighters now available. Iron Brigade in the Corn Field! 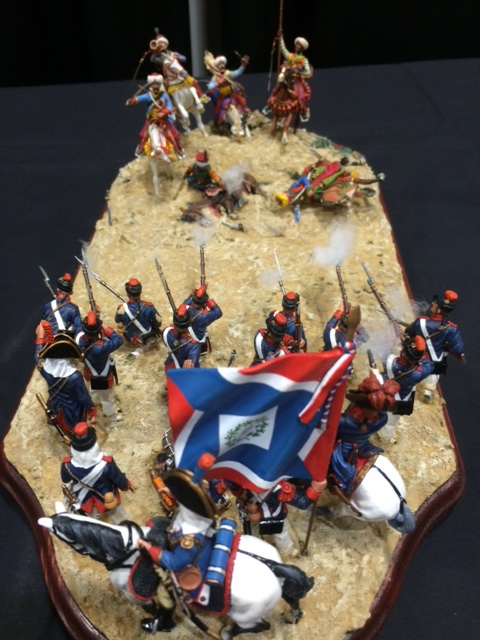 Here is a great Diorama buy Joe Baker using metal Conte Collectible and W. Britains toy soldiers. Well it is May 15, I am sure something important in history happened today. If not it will be this newsletter (ha ha). The show season is in full swing. We are headed up to Huzzah in Portland, ME this weekend. 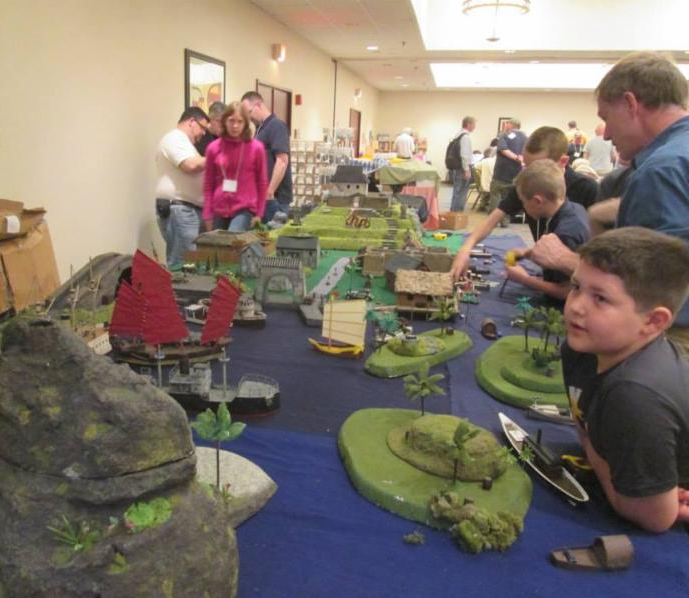 Come and check out this great New England gaming convention. 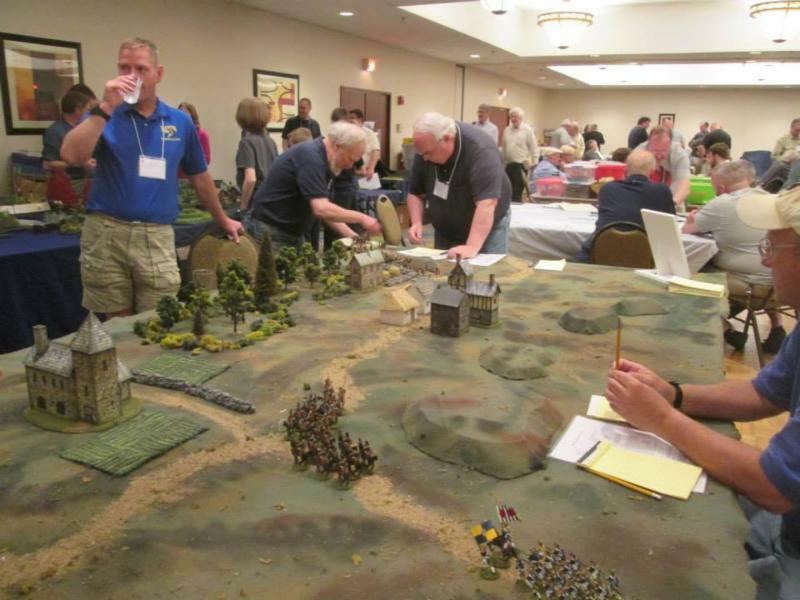 Includes miniature games, board games, tournaments, vendors, raffle, and great company. We also have some exciting gaming events at the Bunker coming up. 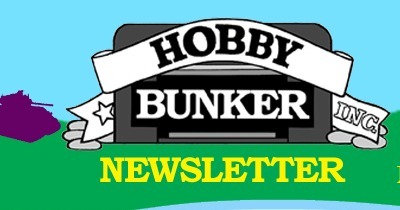 Including the Heroclix State Tourney in June and the next Magic the Gathering pre-release scheduled for July. We just got back from the MFCA show in Valley Forge, PA.. The attendance seemed to be about the same as the last couple of years. We want to thank all of you who attended. Overall it was a nice trip. We hit Rein’s Deli (exit 65 on rte. 84) on the way down and the Blue Colony Diner in Newtown, CT (exit 10 on 84) on the way back (these our 2 of our usual and well recommended spots). Sales were good, socializing was fun. 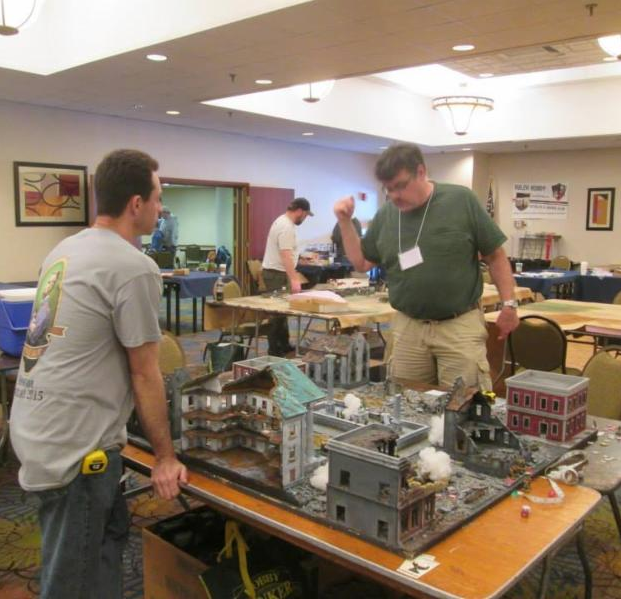 I meet a few new collectors, chatted with all the familiar faces and met some of our forum members for the first time. Had a beer with Dave Youngquist and Doug Derth on Friday night (both from MI) and then we headed up to the MFCA hospitality suite for some drinks and a social hour. We left the venue a little after 6PM and got home around 1AM. 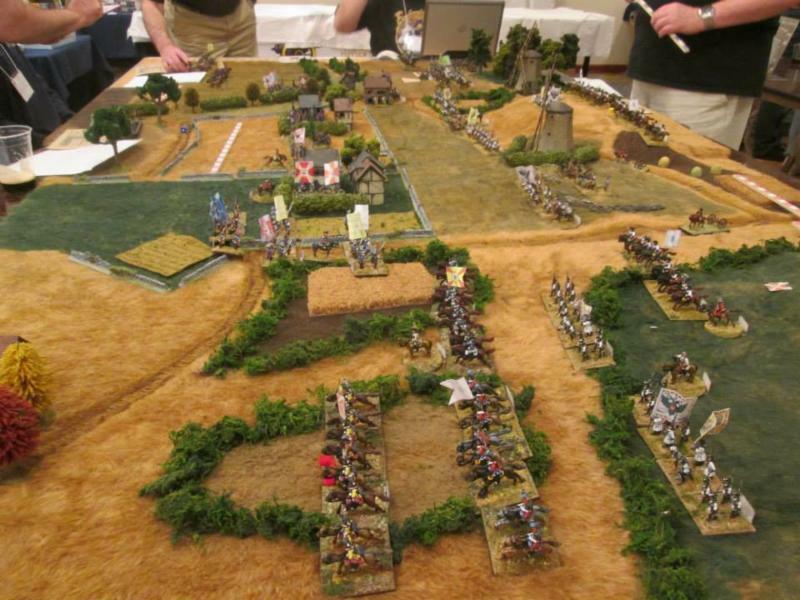 Below are is a picture of our booth and a great diorama built by one of our customers. We just got back from the MFCA show in Valley Forge, PA. The attendance seemed to be about the same as the last couple of years. We want to thank all of you who attended. Overall it was a nice trip. We hit Rein’s Deli (exit 65 on rte. 84) on the way down and the Blue Colony Diner in Newtown, CT (exit 10 on 84) on the way back (these our 2 of our usual and well recommended spots). Sales were good, socializing was fun. I meet a few new collectors, chatted with all the familiar faces and met some of our forum members for the first time. Had a beer with Dave Youngquist and Doug Derth on Friday night (both from MI) and then we headed up to the MFCA hospitality suite for some drinks and a social hour. We left the venue a little after 6PM and got home around 1AM. 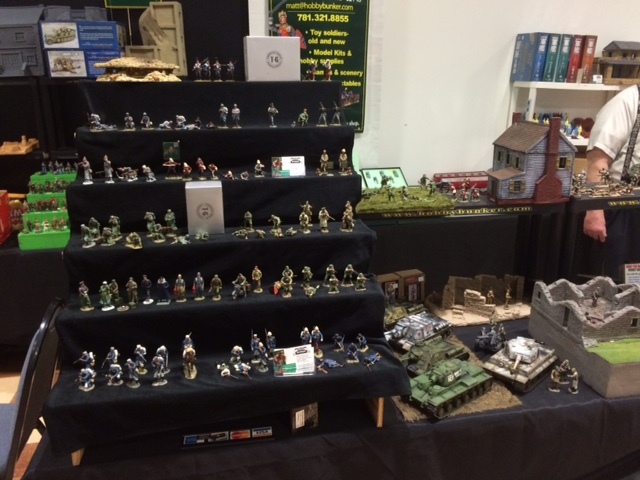 Here are some of Alan Golden’s dioramas, some shots of our booth and a few superb pieces from the Model Contest.